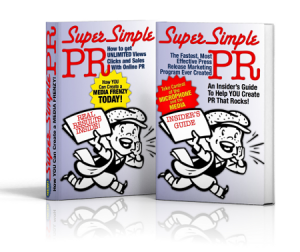 The press release publicity experts at SuperSimplePR have created a super simple system which teaches people to write perfect press releases quickly. The newly released PR training is available now on the company’s web site. Give People The Power To Share And Make The World More Open And Connected. While traditionally reserved for company news, corporate announcements, and other public communications, press releases are now the main tool for creating traffic and publicity, as well as informing the media and the public about exciting, important news. But the problem today, according to Anderson, is that online PR has become all but synonymous with spam. To elaborate, most online press releases are irrelevant, poorly-written, unsolicited, mass-distributed commercial advertising that offers little to no value to the reader. Successful companies are the ones which have mastered the fine art of self promotion. Now, more than ever before, business leaders need to understand that the Internet fragments and broadcasts a company’s message via text, graphic media, audio, and video. The opportunities are nearly infinite, but for those who are new to the party, getting overwhelmed is very easy. It’s now much easier to accomplish those four goals, just by using the SuperSimplePR system, and following the step-by-step process taught in the online course. To learn more, visit http://www.SuperSimplePR.com to sign up for their free newsletter. The “PR Publicity System” course is only $97.00, and includes written course materials, more than a dozen training videos, podcasts, case studies, 30 days of the PressReleaseNation premium press release submission service, and more.